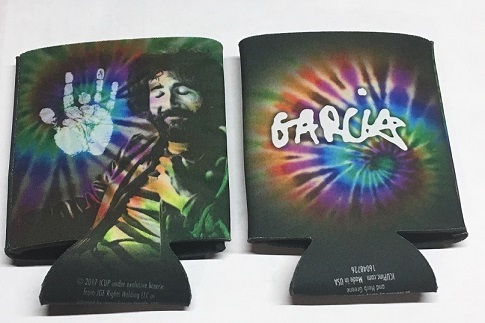 This psychedelic can koozie features the one and only Jerry Garcia on a tie dye background with a big Jerry hand print prominently featured. The back side is also tie dye and says "Garcia" in large white letters. Koozie fits most cans and bottles.